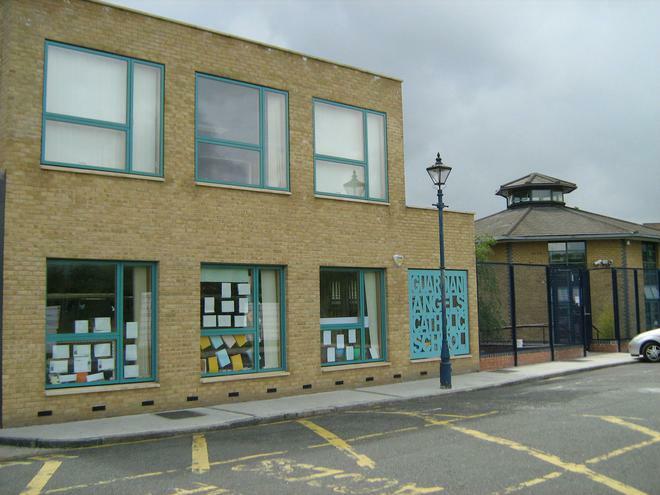 Guardian Angels is a Catholic Voluntary Aided Primary School in the trustee of the Archdiocese of Westminster, within the London Borough of Tower Hamlets Education Authority. We are a one form entry school with a total capacity of 210 children in the age range from 4 to 11 years old. Our children are drawn from Guardian Angels and other neighbouring parishes and local authorities. At Guardian Angels we aim to provide an environment where everyone, children, staff and parents/carers are included and valued as unique individuals. It is through this belief that we set high expectations of our children and desire that they achieve to their best ability in all they do, in how they conduct themselves and the manner in which they relate to others, while encouraging them to contribute and participate in all aspects of school life created by God. Guardian Angels Roman Catholic Church was opened in 1868 in a former independent church known as Salem Chapel. The church was rebuilt between 1901 and 1903. It is not clear exactly at what date the school(s) were established. The Ordnance Survey map of 1870 shows a building marked "School" adjoining the rear of the church building. The surviving log books begin in 1874 but evidently the schools were already in existence. The present school buildings date from c.1894. The school seems originally to have been divided into Boys and Girls and Infants Departments. In 1944 the school was reorganised as a mixed school with separate Infants Department. 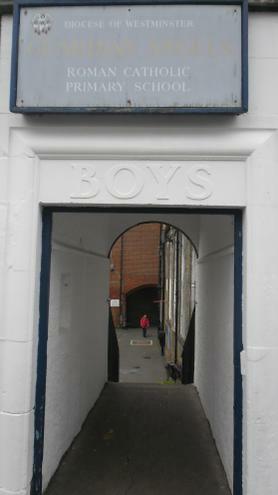 In August 1955 the school became a Junior Mixed and Infants School.